Hello my friends! I’m finally beginning to get used to having a few hours every day to actually get things done, and I really like it. The evenings though, well they’ve been pretty hectic. Yesterday Emma had her first horse riding lesson right after school, then Noah had his soccer practice after that. We still got home at a reasonable time (6:15) but there was no way I had the energy to bust out a meal…luckily I had already prepared it though. 🙂 We had homemade chicken noodle soup, and a dessert that literally took thirty seconds for me to make – and it was SO delicious! 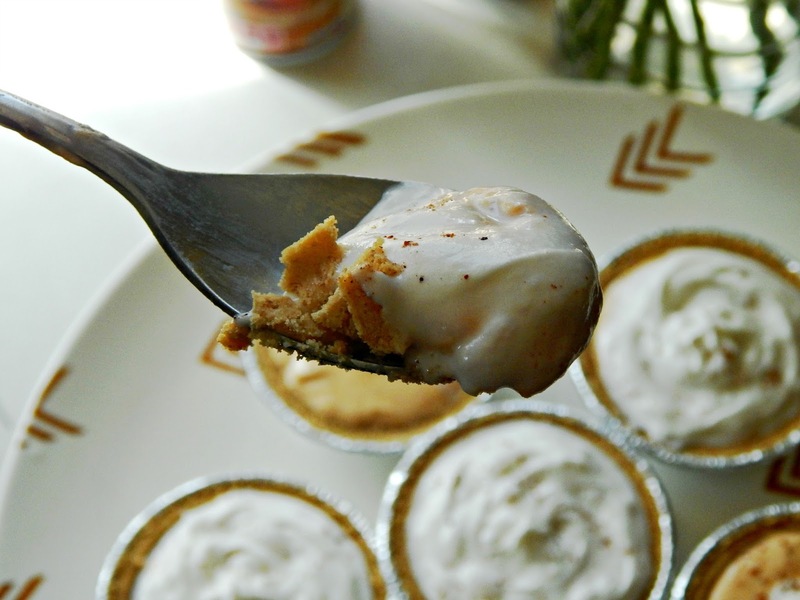 I made these total mini effortless pumpkin pies with just a couple of ingredients and the kids devoured them up super-fast! 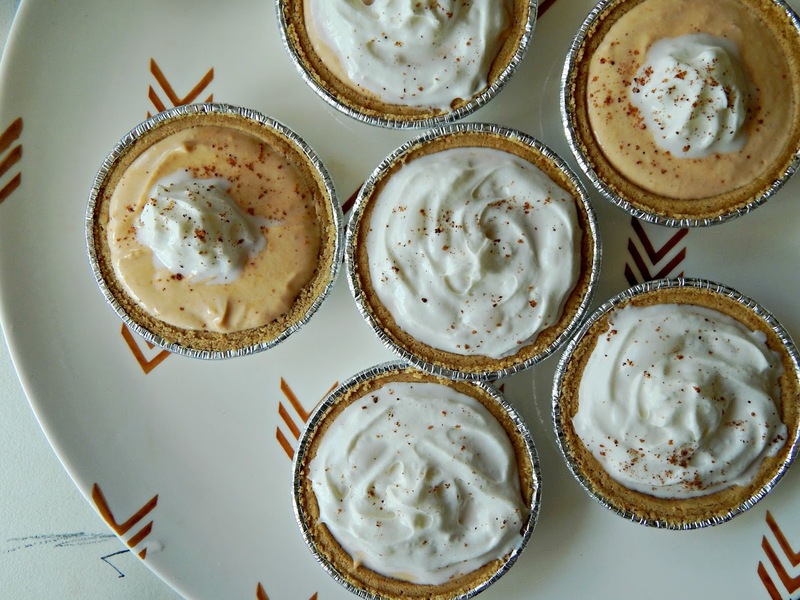 I love them because they are the perfect size for a little dessert or even a snack. They would also be great for holiday parties as well. 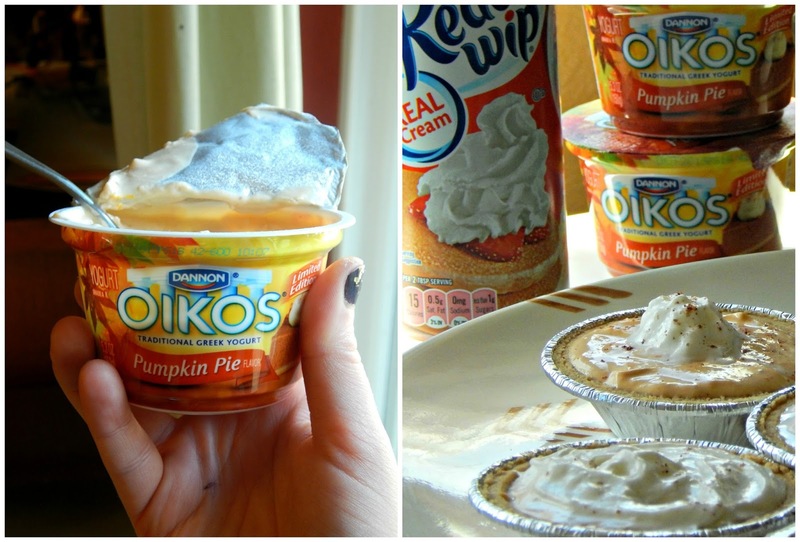 All you need to recreate these tasty treats are: Keebler® Ready Crust® Mini Graham Cracker Pie Crust, Dannon® Greek Yogurt; Oikos® Pumpkin Pie Greek Yogurt, Pumpkin Pie filling, a dash of nutmeg, and Reddi-wip®. 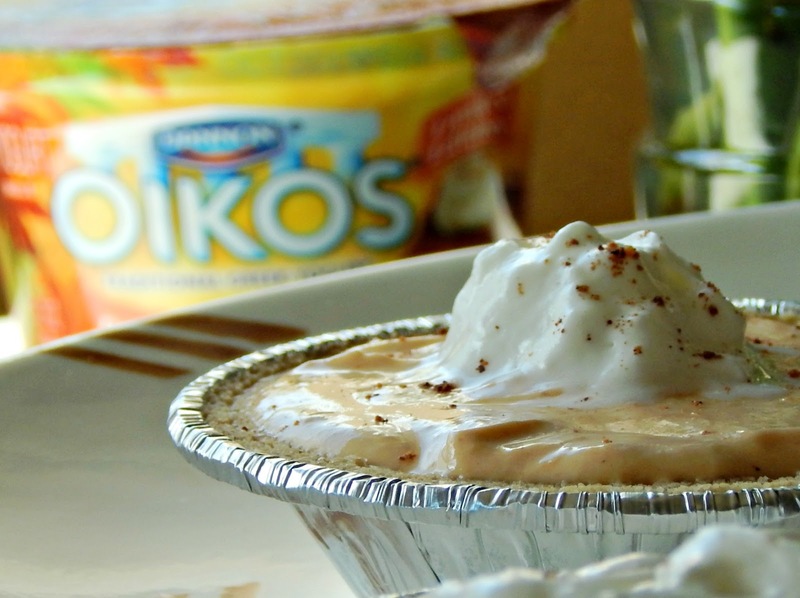 Mix one tablespoon of pumpkin pie filling in with one cup of Dannon® Greek Yogurt; Oikos® Pumpkin Pie Greek Yogurt, then spoon into three Keebler® Ready Crusts® Mini Graham Cracker Pie Crust. 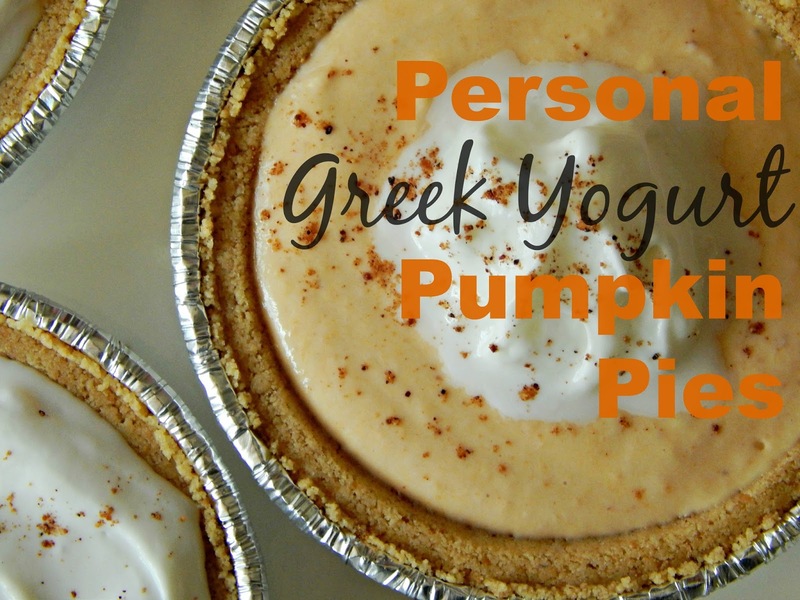 Repeat with the other half of pumpkin pie filling and yogurt. If desired, you can mix in 1-2 tablespoons of mini chocolate chips as well. 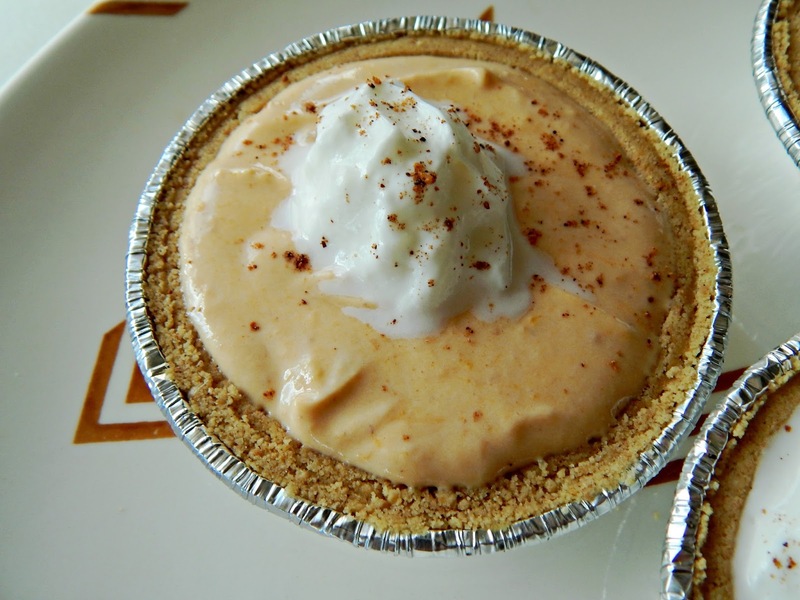 Top each personal pie with Reddi-wip® and dust with nutmeg and additional chocolate chips if desired. Serve immediately. 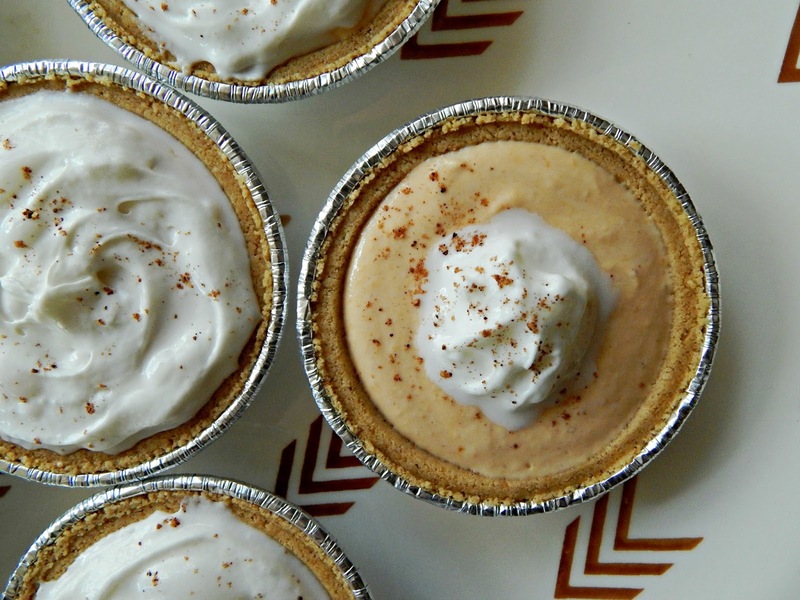 They taste exactly like a chilled creamy pumpkin pie, and the graham cracker crust is even better than the original. 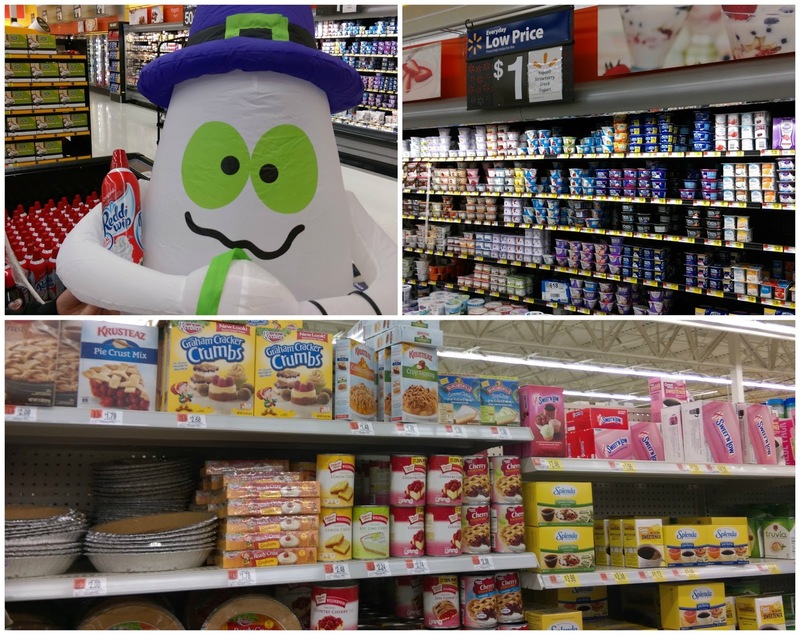 You can find the Keebler® Ready Crust® Mini Graham Cracker Pie Crust in the baking aisle, and the other ingredients in the refrigerated section at Walmart.